at the foot of the Pyrenees, in unspoiled natural surroundings. 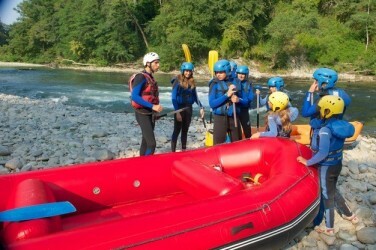 Not far from the coast and its fine sandy Beaches, the whitewater rafting companies on the Nive river offer activities for the whole family and for the more sporty, supervised by experienced instructors and with all equipment provided. 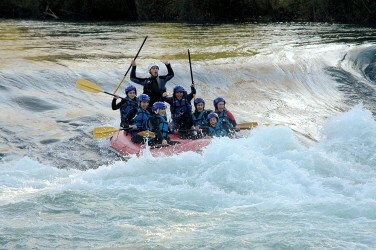 The main attraction here is the rafting. 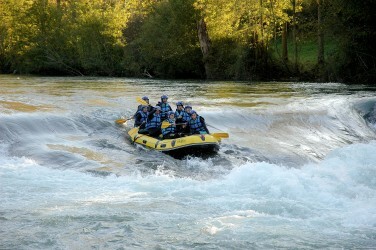 With family or friends, a ride in an inflatable (and unsinkable) boat takes about two hours. 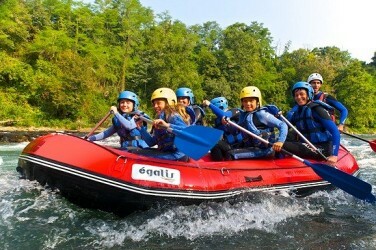 Whether you try your hand with a kayak, the Airyak (pneumatic kayak), the canoraft or hotdog, a mini-raft or a buoy, I guarantee you a great day out in breathtaking surroundings. 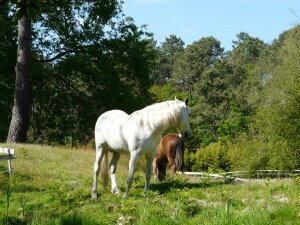 The Landes offer a completely different landscape compared to the Basque Country. The beaches extend for miles of fine sand and while the lakes host a number of water sports and activities: canoeing, electric boats, pedalos and windsurfing ... a quiet trip on one of the small rivers will take you deep into some quite amazing natural landscapes. In the middle of the Landes forest, the descent of the Palue river, which feeds the Natura 2000 classified lake in Leon, meanders through a canopy of greenery and protected fauna and flora. The descent of the “Courant de Soustons” is a complete change of scenery when compared to the salt-water lake in Port d'Albret, in the heart of the seaside resort Vieux Boucau. The “Courant d’Huchet” flowing through Vielle Saint Girons, Leon and Moliets over 600 hectares, a protected nature reserve, the most diverse and the richest in the region in ecosystems and habitat. 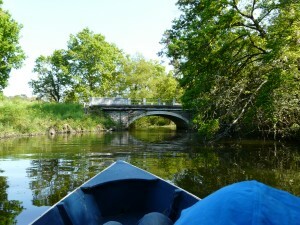 An unforgettable ride, a series of changing landscapes between swamps, bogs and dunes home to over 200 species of birds, otters, mink, herons, turtles and fish. 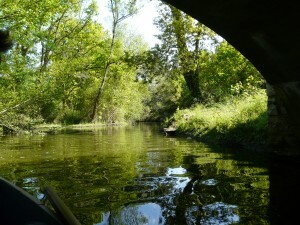 boat trip in the Galupe (traditional flat bottom boat), on the "courant d'Huchet", from Léon lake to Moliets. 10km in the heart of the "Amazon of the landes"